The term body chemistry applies to all processes that occur inside the body from heartbeats to production of cells. All these processes are made possible by the chemicals that the body produces. From this definition of body chemistry, we can define balanced body chemistry as having the right amounts of chemicals that support the proper functioning of the body. The health of a person is said to be good when his body chemistry is well balanced. To attain and maintain this balance, your body continually needs the nutrients provided by the food that you eat. You get proteins (amino acids), vitamin, minerals and fats which are used for maintaining and sustaining the operations of the body. Too much or too little of these nutrients could lead to health problems. 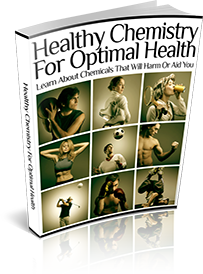 How does body chemistry affects your body? Every day, your biochemistry constantly changes. It changes when you eat, study, work, exercise, and sleep. When you eat, the sugar in your blood increases; after jogging your heart rate goes faster, or your blood pressure rises after arguing with somebody.